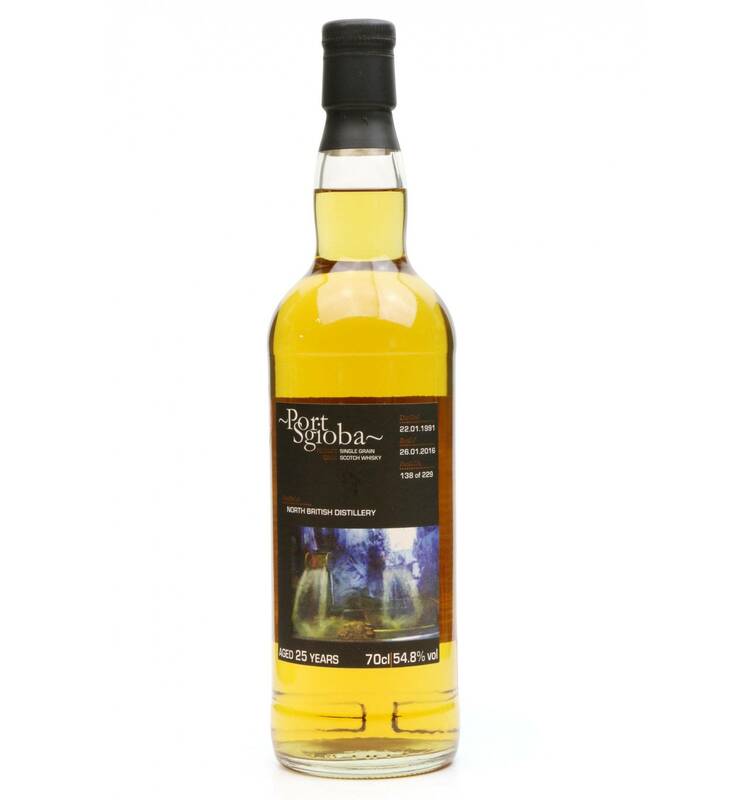 The name Port Sgioba (pronounced Skee-bah) from the Gaelic for Port Charlotte. This is the 4th release from Port Sgioba (PS4) which is a 25-year-old Single Grain Whisky from North British Distillery. Bottled at natural cask strength, non-chill filtered and colouring free. It was distilled on the 22nd January 1991 and bottled on the 26th January 2016. Despite making the equivalent of 10 billion bottles of whisky since opening in 1885, North British Distillery distillery has never sold a single bottle to the public, preferring to use its soft and sweet maize based spirit as a key ingredient for world renowned blends. 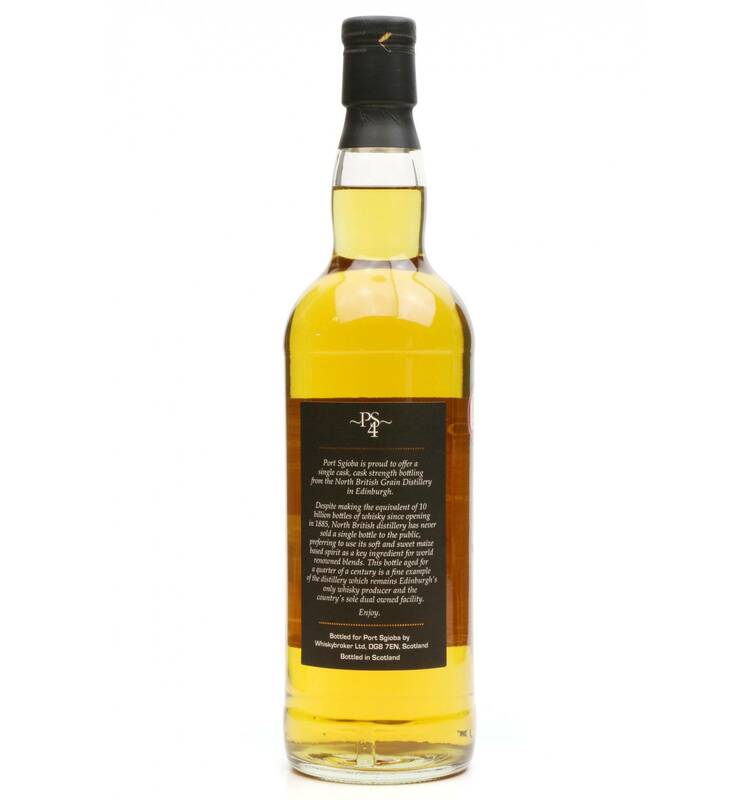 This bottle aged for a quarter of a century is a fine example of the distillery which remains Edinburgh's only whisky producer and the country's sole dual owned facility.